The 24-inch imagePROGRAF PRO-2000 printer is designed to exceed expectations for image quality and color consistency in a large format printer. The use of new a 1.28-inch wide 12-channel integrated compact print head, LUCIA PRO ink set plus Chroma Optimizer, a high-precision mechanical platform and the L-COA PRO high-speed image processing engine achieves a balance between exceptional print quality and speed. These unique Canon technologies and innovations establish the foundation for an ultra-high quality photography imaging solution that is available only from Canon. 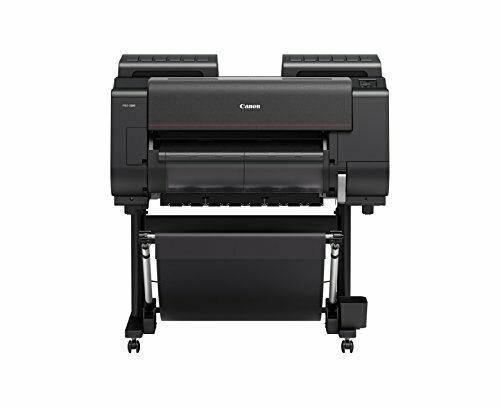 Powered by a Canon-to-Canon workflow that links images captured with an EOS Digital Camera and printed on an imagePROGRAF PRO Series printer, the result is a solution that delivers prints that capture the moment and emotion of the original image. The overwhelmingly high print quality produced by this input to output solution is called Crystal-fidelity.